Don Kolodz serves as the Senior Vice President, Destination Development at DISCOVER THE PALM BEACHES the official marketing organization for tourism. In this role, he is responsible for development and implementation of strategies for Palm Beach County that maximizes the growth of tourism related products, attractions, and support services. As Destination Architect he elevates the Palm Beach County’s appeal resulting in increased visitation and ultimately job creation and economic opportunity. He assists President/CEO in the formulation of the organization’s Strategic Plan and governance of the Board of Directors. He previously served as Chief Strategy Officer at Coastal Car Worldwide, the largest luxury ground transportation company in southern Florida, in which he was responsible for all key strategies including business development, operations and customer satisfaction. 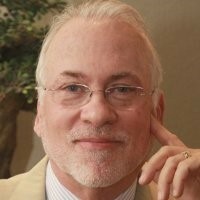 Prior to that Kolodz was Senior Vice President, Business Development for The Resource Group in which he was responsible for or spearheading sales and channel strategies for SATMAP a neural network, artificial intelligence engine that matches callers and call center agents in real time based upon personality mapping. In addition, Kolodz held officer level positions at Choice Hotels International, the largest franchisor of hotels on a global basis with over 5,000 properties and the Promus Companies that represented leading brands such as Hampton Inn, Homewood Suites, Embassy Suites and Harrah’s Entertainment. Mr. Kolodz resides in West Palm Beach, Florida with his wife Belinda and they have two children. To contact Don Kolodz, call 561.233.3090 or email dkolodz@ThePalmBeaches.com.